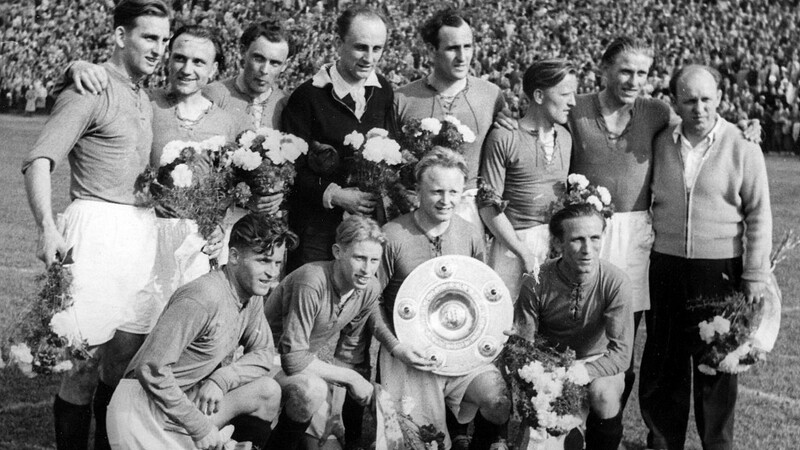 On 23 May 1954, Hannover won their second German championship, beating Kaiserslautern 5–1. And they did it with a little tactical advantage in footwear. Six teams — the five regional Oberliga champions and one runner-up — qualified for the German championship tournament and were split into two groups. The two group winners then contested the final, which was played at the Volksparkstadion in Hamburg. Before the match, eight of Hannover’s 11 starters were given new Puma boots with a special feature — screw-in studs. Puma had been developing the technology for several years, first releasing the “Super Atom” model in 1951. When Kaiserslautern won the German championship in 1953, seven of their players wore the Super Atom. 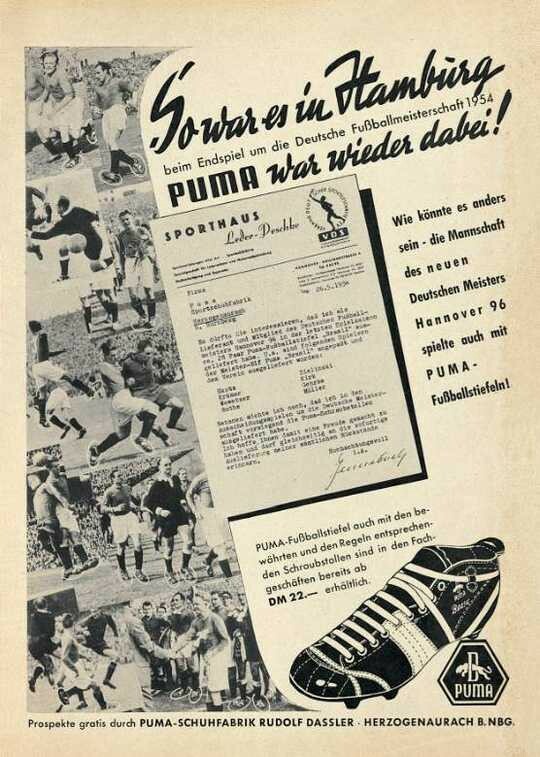 By 1954, however, Puma had developed an improved style dubbed the “Brasil” and Hannover quickly adopted the new boots. They must have been quite an improvement. 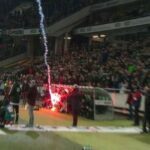 Even though Kaiserslautern took a 13th minute lead, Hannover reeled off five straight goals to take the title with an overwhelming 5–1 victory (including one Kaiserslautern own goal from defender Werner Kohlmeyer in the 48th minute). It was their second title, with the first having come in 1938.